Leading Manufacturer of active harmonic filter(ahf) and progressive gravity pumps from Chennai. SVE commissioning refers to the on- site commissioning of All type of AC drives, Solar Inverters, Electrical Panels and Cable Erection at customers’ premise. Customers will receive a system with optimized performance, which utilizes the full potential of products. It is crucial that commissioning is done correctly in order to reduce field quality issues during the product’s lifecycle. Backed by our rich industrial experience in this domain, we are devotedly engaged in offering supreme grade Progressive Gravity Pumps that is used to power pumping systems, our offered gravity pump is manufacture in compliance with the international quality standards by utilizing the high quality components and modern technology. 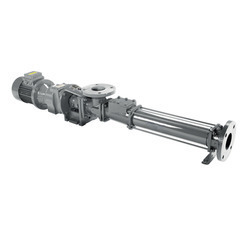 We offer this gravity pump in various stipulations at competitive rates. Looking for Positive Displacement Pumps ?